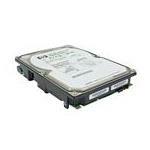 The 146GB Internal HDD is a durable hard disk drive that can dynamically improve the performance of servers. 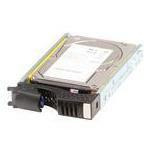 The 146GB Fiber Channel Hard drive is produced by Toshiba, Hitachi, Samsung, Seagate and other top manufacturers. 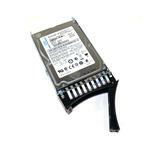 Due to a significantly smaller size, these durable 146GB SCSI hard drives are used as server storages requiring low storage and high processing power. The 146GB Hard Disks use interfaces like SAS (6Gbps and 3Gbps), Fibre channel (4Gbps and 2Gbps), Ultra 320 SCSI, and Ultra 160 SCSI. The 146GB Ultra 320 SCSI drives are available in 2.5-inch and 3.5-inch form factors with 8MB, 16MB, 32MB or 64MB cache, only from Memory4less.com. These HDDs can run on a rotational speed of 10,000RPM and 15,000RPM respectively. Due to their high rotational speed, these drives are used in servers engaged in high-speed data transfer and fast information processing. Find the perfect drive for your home and/or business needs. Start your search right here!